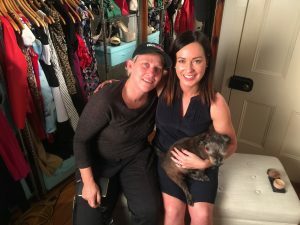 Ex-photo journalist and investigative journalism tutor, Mandy Lake came home to the glorious world of filmmaking in 2004 when she co-established Flickchicks film production house with producer Margie Brown. Despite being initially quite snake phobic, Mandy directed, wrote and co-edited Snake Boss/Sheila and is now entertaining the idea of getting a pet python! Mandy is working on a slate of factual projects including: The Irwin Effect, Bowled Over: A dragumentary, Third Eye View, Psychic Roadtrip and Finders Seekers. In 2011, Mandy directed, wrote and edited the award-winning ABC TV-commissioned documentary, The 100+ Club.